Nowadays, in social media, we often see a few advertisements for car related products. It looks very interesting to us and our curious mind wants to know more about that. When we saw those products it feels attractive to us. 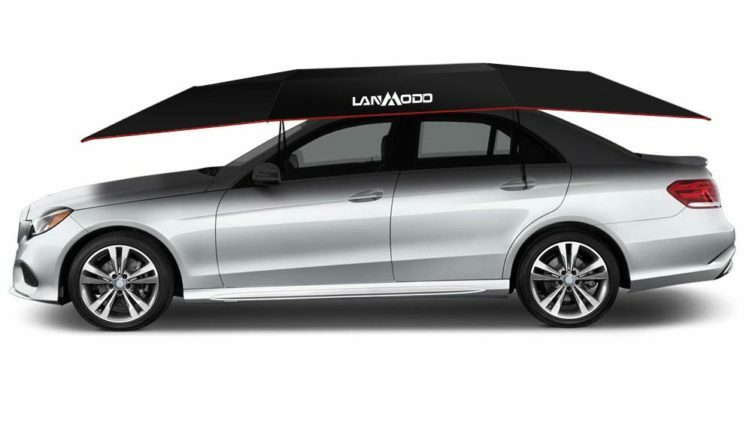 Today we choose to talk about Lanmodo car tent reviews. It is an automatic portable car tent that open and collapses with just one remote click. Lanmodo car tent basically made to protect our car from the heat and dust, bird drops and so on. This product looks very light and smart and actually is lightweight so it’s not working in heavy wind flow, storm heavy rainfall, snowfall. Somehow it can protect slighter rainfall. Lanmodo car tent work against extreme heat. Protect our car paint from damage, so keep reading our Lanmodo car tent reviews. We have some more knowledge to share with you. Made with the difference of size (3.5Mx2.1M) 4.8m auto with and also semi-auto width. Which fitted almost every car. You don’t need to think about sizes. Fits almost all luxury cars, small cars, sedan truck, semi-truck and also the hatchback. Lanmodo car tent is designed with a folding structure system as earlier mentioned that controlled by a wireless remote with just one touch. Easy to carry in the car and very easy to install you need to follow few steps. Just put the Lanmodo car tent over the middle of the vehicle roof. Then pull down suction handle after that clip anti-theft belt into the vehicle, then press the open button. Hook up windproof with door handle clasp two windproof belts with front-view mirror. The whole process of installation may take around 30 seconds plus the tent takes only 8 seconds to unfold. That makes it super fast which actually saves you precious time. Lanmodo car tent structure made by fiberglass and metals comes with brush motor, battery power is 18650 lithium battery and capacity of 2200 mAh. If once you charge, it will run up to 45 days. Can you believe once, it will fully be charged it will work for 45 days! And the charging took just 5 hours. Also, it comes with two variations one that is with a stand and another without the stand. The stands made from 304 Grade stainless steel, capable of handling 70kg also, able to work in extreme condition like -20 c to +60c. This car tent cloth made of 210D Oxford, which is super waterproof and snow proof and easy to clean. As we earlier mentioned that it’s can handle up to 70kg weight, so in heavy snowfall, it will be not useful. You need to keep in mind that the light snowfall can be manageable by this car tent. When you park your car outside daylight for too long, the inside of the car becomes really hot and uncomfortable. That is why you need to make out the hot air outside of the car. However, if you have a Lanmodo car tent. You do not need to think too much about the heat. Because it covers almost the entire car roof. There is no chance that your car gets heated. Lanmodo car tent helps to cool down below of 35c/95F. That’s how it protects your children from extreme heat when you parked your car in the streets under the sunlight. The Lanmodo car tent features a double anti-theft system that protects the tent from theft. The only way to open and close the tent is to use a wireless remote. Any unwanted person cannot just fold it and take away the tent. There is another feature that also helps to protect the car tent. The tent offers an anti-theft rope which is constructed with a steel wire inside and strongly avoids theft. This can tent is popular among car owners for its various surprising features. But the portability of this car tent makes it more convenient and also it offers effortless cleaning features. 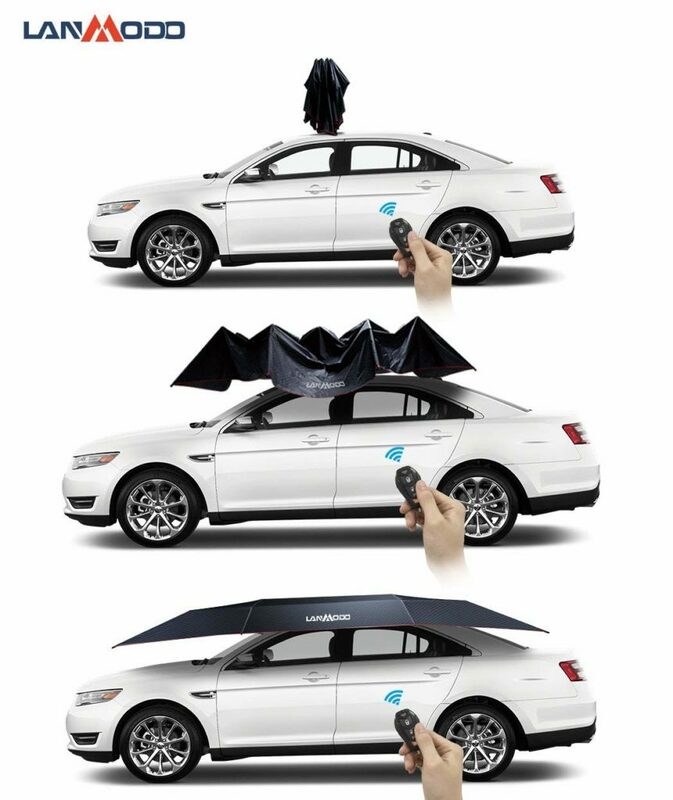 You can easily wash this water-proof car cover without wasting a lot of time. From this Lanmodo car tent reviews now you know all that you should know before you buy this tent for your car. This tent is really great for those who usually travel along their car and wants to protect it and keep the inside temperature low.